LWRC International just released the LWRC REPR MKII SC 7.62 Elite Tungsten 16 inch (Side Charge) AR-10 308 Rifle. It’s fitted with a chrome lined precision Proof Research Carbon Fiber Wrapped Steel Barrel. The Proof barrel is almost half the weight of the standard steel and the carbon fiber wrap stays cooler to the touch. If you are looking for LWRC’s most accurate 16 inch REPR Platform, Look no further. 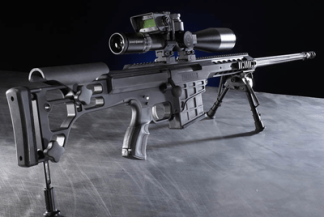 The REPR MKII SC 7.62 Proof Carbon Fiber Rifle is it. All REPR SC Rifles are equipped with a 20 position adjustable gas piston system. Designed to dial in the perfect amount of back pressure for your favorite silencer/sound suppressor. It’s also used to fine tune the rifle for different grain bullets to make sure they cycle flawlessly. LWRC’s REPR MKII SC 7.62 Elite Tungsten 16 inch 308 AR-10 Rifle has fully ambidextrous controls, side charging handle, match grade trigger and extra machining to lighten the receiver and hand guards. This makes the LWRC REPR MKII SC 308 AR 10 Rifle the ultimate light weight choice. Xtreme Guns and Ammo is the Nations Largest LWRC Dealer with largest in-stock selection of LWRC REPR MKII SC 7.62 16 inch 308 “Side Charging” AR-10 Rifles at the Best Price Online.